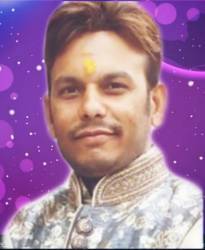 I am a Vedic astrologer with an Good experience in this fields Astrology, Palmistry, Vastu. Astrology was my passion from childhood days. It was then that I made up my mind to take this passion onto the professional level.My advice has helped many clients overcome their problems and lead a much better life. Nothing gives me more pleasure than the satisfaction of my clients. All my horoscope readings and astrological predictions are based on the ancient principles of vedic astrology and remedies are based on vedic astrology too. I hope to be of help to all of you and guide you all towards the right direction.I can guide my clients in the areas like marriage, love affairs, progeny, business choice, career mapping, education, health, wealth etc.